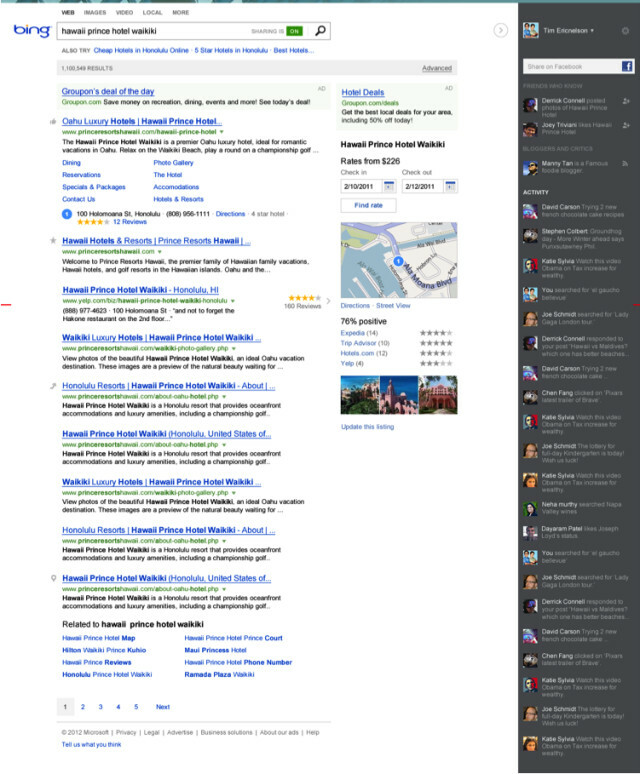 Microsoft's search service platforms has a long history of re-branding, re-designing and re-launching and we have gathered a few screenshots of the search service throughout it's evolution to celebrate Bing's 4th birthday. 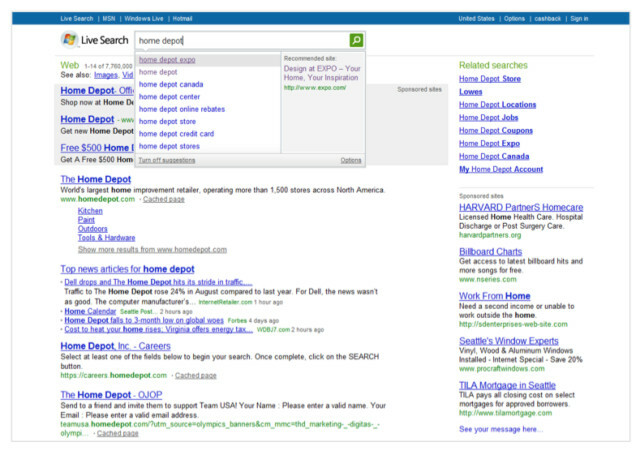 Before Bing, Microsoft's search service was previously known as Live Search, Windows Live Search and MSN Search, and each platform had it's own unique look and feel. 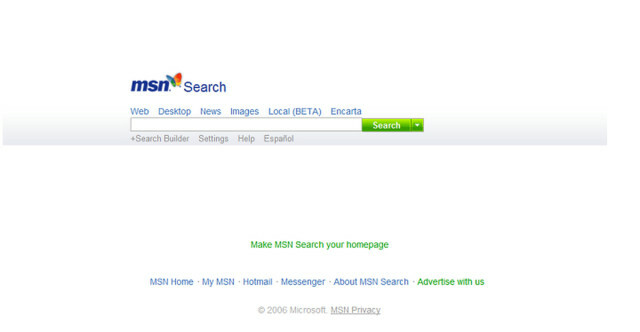 Starting back in 2006, we can take a look at MSN search, which has a somewhat modern feel to it with the minimalist design that reminds us of the Google homepage. 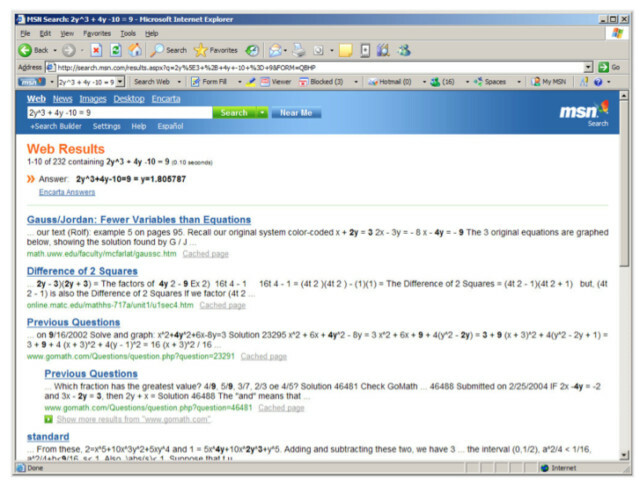 The service was launched in 1998 but the screenshot from above is from early 2006 before the roll-out of the Live Search engine. The launch of Windows Live Search was unveiled in March of 2006 with the final release occurring on September 11th, 2006 that finally put MSN Search to bed. 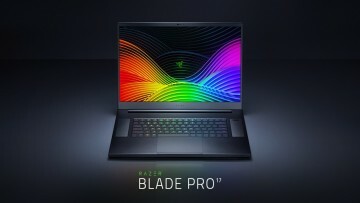 This engine introduced tab searching for Microsoft and also marked Microsoft's first foray into using their own image search service, before this date, Microsoft was using PicSearch to pull in results. 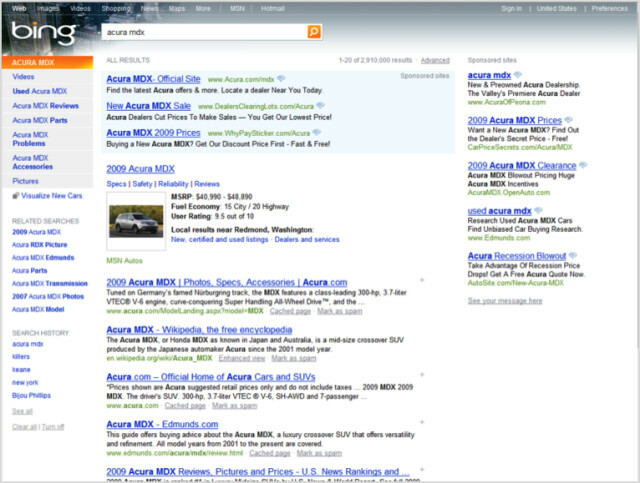 Live Search became Microsoft's new branding for the search service in March of 2007, and this also signaled the separation of the search team from the Windows Live service team. 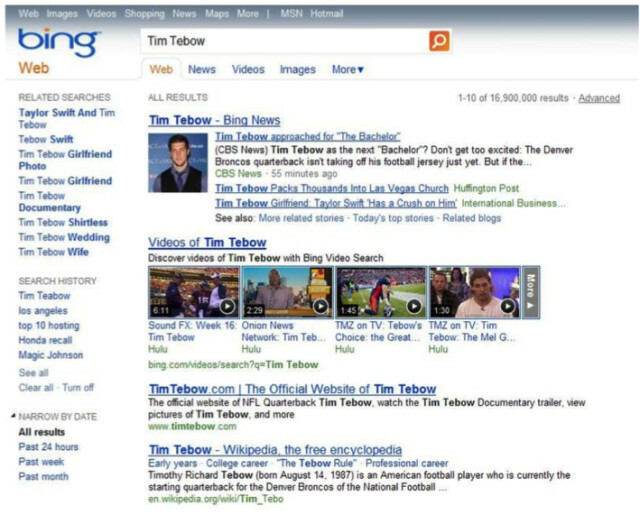 Following Live Search was the launch of Bing, which occurred 4 years ago on June 1, 2009. 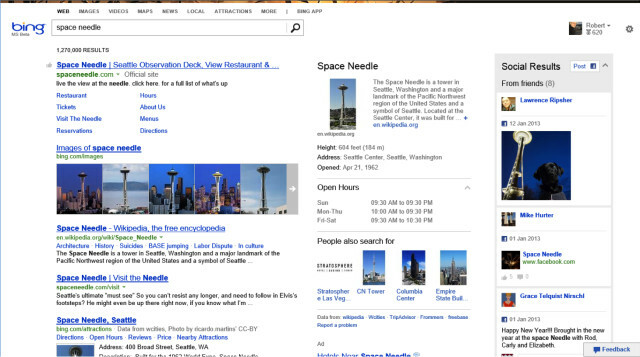 The service has undergone many visual changes and as we previously learned in the Bing feature: Building Bing: Inside the world's second larges search engine, Microsoft is constantly tweaking and testing new layouts and designs. For a trip down memory lane: Did you know that Microsoft was considering several names for Bing that included Sumo and Hook? That's what Mary Jo Foley was able to dig up way back in April of 2009 but the rest is history, as Bing is the name Microsoft has chosen and the company has invested billions into the platform to allow it stand out from behind Google's shadow. In 2012, the Bing team introduced the social sidebar and started to pull in content that the team hoped would help drive user adoption of the platform. 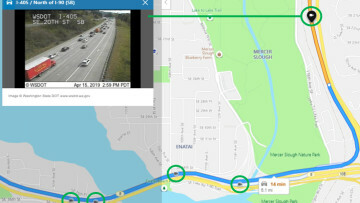 The idea was simple, if the team could include search information for your social feeds, it could create a real-life connection between query and result. 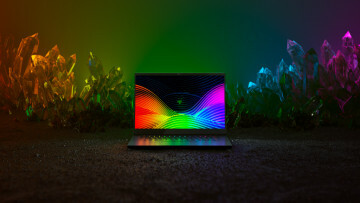 While the team is still working on making this marriage seamless, when connections do happen, the end user receives a unique result that is tangible. The latest version of Bing includes a column-style layout with lots of whitespace to present the results in a clean fashion. But, seeing how quickly Bing has evolved from 2009, we should expect that the team will keep pushing the boundaries of search and how to display their results as they look to cut deeper into Google's marketshare. 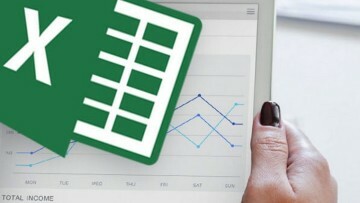 For Microsoft, Bing is a critical component to its web strategy. As the web grows, being able to find the information you are looking for in a way that is intuitive and one that evolves with our search methods is important to not only the end user, but the evolution of the web.